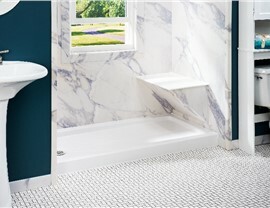 From replacement tubs to new showers to bath conversions, we'll transform your bathing environment quickly and affordably. 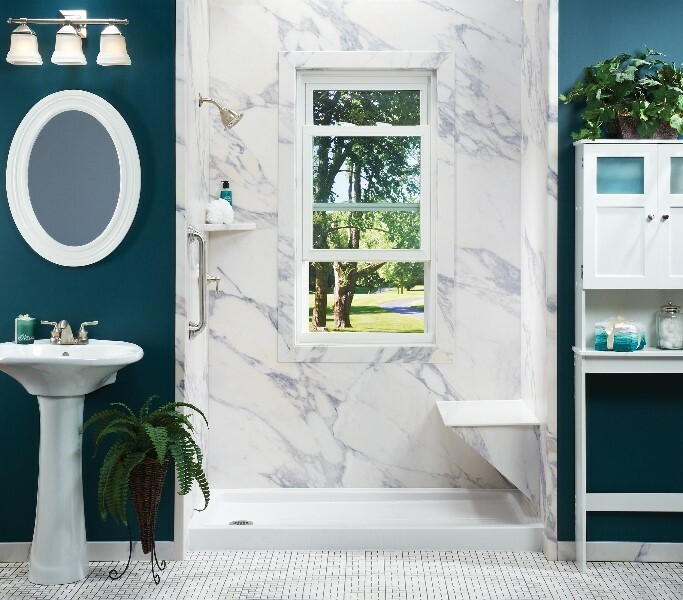 You begin and end nearly every single day in your bathroom, so don’t you deserve a stylish, comfortable environment that helps you feel rejuvenated and refreshed? At Community Builders, we’ve been completing beautiful, easy-to-maintain bathroom remodeling projects across Oklahoma and Arkansas since 1982. 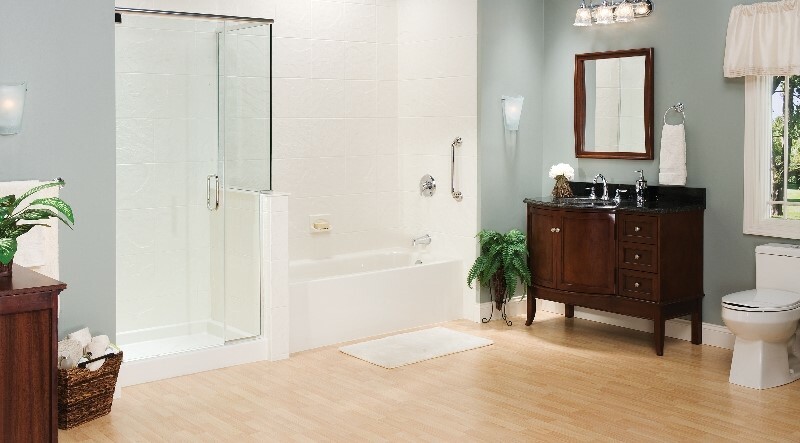 With over 35 years of experience as a family-owned bath remodel company, we have a long history of design and installation excellence—with countless happy customers to prove it! For your satisfaction, we offer a vast selection of bathroom remodeling services, most of which can be completed in just one day. Whatever your preferences might be, we’re gonna save you a lot of money on the bath remodel of your choice! 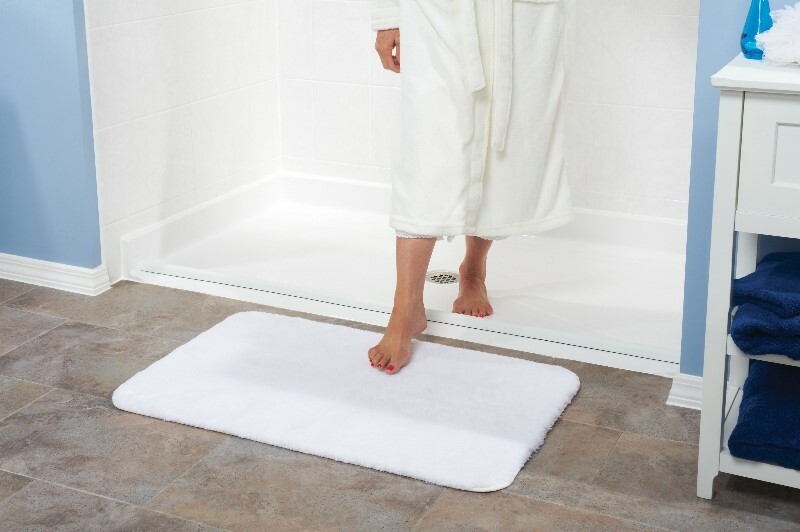 What makes your bath systems so different? 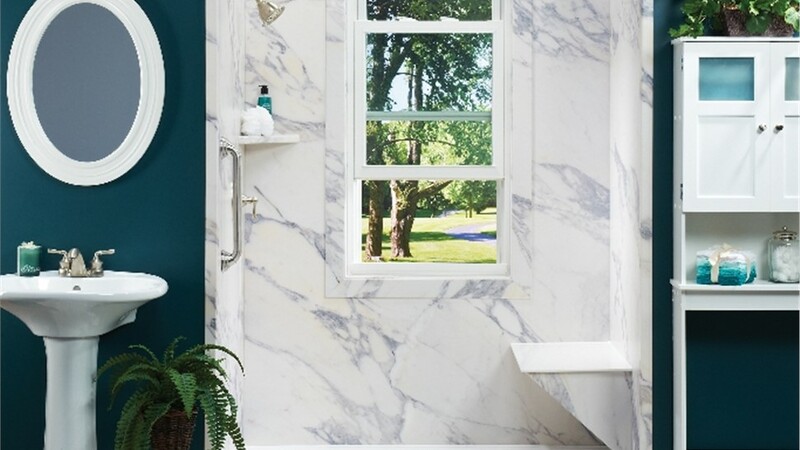 Our acrylic bath and shower solutions are exceptionally easy to clean, easy to operate, and have optional features like whirlpool jets and warm air jets. The range of time depends on what you are looking for, but many of our bath and shower solutions take as little as one day to complete. What are the pros and cons of a walk in tub? What warranty options are available? 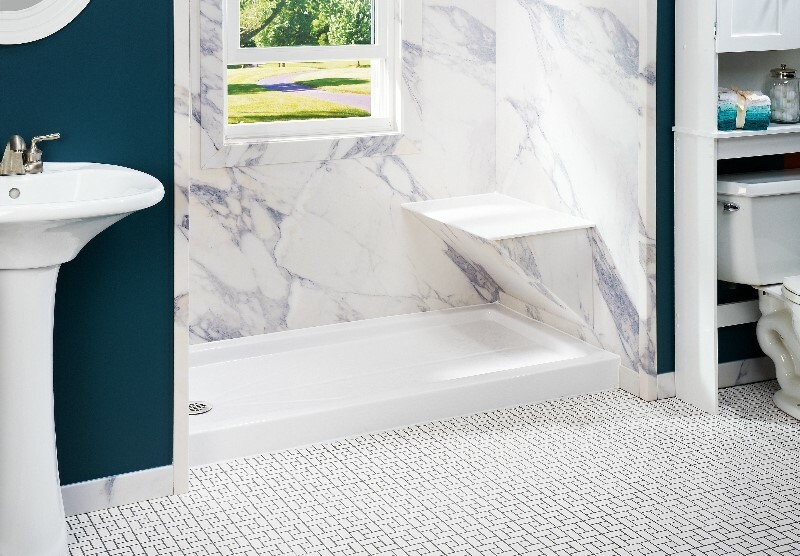 Installed by factory-trained bathroom remodelers and backed by a lifetime manufacturer warranty, our new bathtubs and showers offer the quality and long-term durability you require. 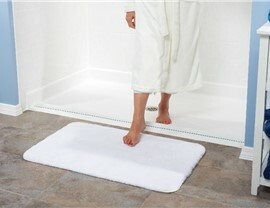 Walk in tubs have a low entry threshold, watertight door, and hydrotherapeutic massage capabilities. 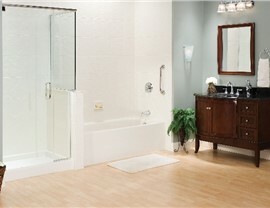 Walk in showers return bathing independence with safety grab bars and sturdy seating.